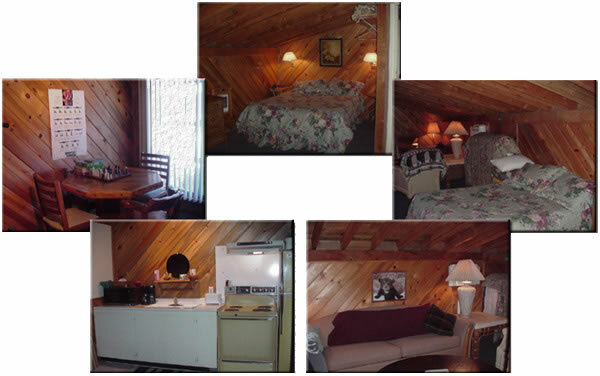 A comfortable Air conditioned studio styled room with a full kitchen( including the dishes, utensils and pots and pans), bathroom with shower, 1 queen bed, and 2 double beds and a sleeper sofa, Flat Screen Satellite TV, sitting area, dining table, plus lots of room to spread out. Perfect for your family reunions and large groups. Rate: $140.00 for up to 4 people plus $10.00 for each additional person (max: 8).